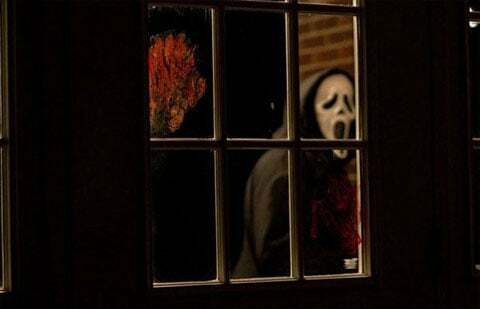 Given the nature of the Scream franchise, the stills we've seen thus far from the newest installment, Scream 4, have been fairly tame. Sure, there's always been the threat of violence, but most of the stills have consisted of people just standing around looking scared. That changes today. The official Scream 4 Facebook page has posted four new stills from the upcoming horror flick and they finally bring a bit of blood into the mix. They start off tame with an image of Lucy Hale holding a knife and Courtney Cox looking up in terror, but then it gets down to the nitty gritty. If you're a bit squeamish you probably shouldn't have clicked on this link to begin with, but this is your final warning. Things are about to get messy.